Just as the credit crunch kicks in, and hard-working taxpayers really start to feel worse off, most would judge it an inappropriate time for public bodies to be proposing extra taxation, and reminding the public of expensive projects they’re keen to channel public money into, but the Midland Metro is seemingly still on the agenda and we’re still expected to foot the considerable bill. This time there’s talk of raising an extra £5million in business taxes (which would undoubtedly be passed on to consumers), and of charging property developers more for land close to would-be stops, pushing up the cost of housing in these areas. We’re told that the money these plans bring in will go towards the £430m cost of extending the metro lines through the Black Country, a rather expensive transport experiment. But if this development goes ahead, how much do taxpayers really stand to shoulder? The figure of £430m is the projected cost if all plans fall neatly in place, but in reality, these large scale projects consistently overrun. When the TaxPayers’ Alliance looked into public sector capital procurement projects last year, they found that the average overrun nationally sat at 33.7%, but the West Midlands average was much higher, at 45%, making the area the worst outside London for such costs, so we could expect this figure to rise as high as £625m before completion. So blind is the commitment of Centro – the local transport authority – to this project, that they have lost sight of all externalities and focus only on their seeming obsession with the extension of the Metro line, at any cost. Forgotten are the taxpayers and the service users who will be expected to fund this expansion, and instead the project seems to have become a vision in the eyes of executives, in which the ordinary residents of the West Midlands conurbation have no part, and no say. When the West Midlands councils (rightly) turned down the government’s proposition of a congestion charging trial, they also forsook the golden carrot dangled before them; hundreds of thousands of pounds in grants and loans to be funnelled into public transport improvements. Many may have thought this spelled the end of the Midland Metro plans, but alas, Centro have forged onwards, determined to raise the cash for their tramline by any means necessary. Loans and taxation, taxation to pay back loans. There’s no doubt about who will really be paying for Centro’s dream. The TaxPayers’ Alliance projected figure of £625million really is a significant amount of money, an amount that should not be invested without firm assurances on the need for this sort of transport and the value for money it represents. Before local business and local people are penalised with some sort of ‘tram tax’ supplement on their regular rates, Centro need to convince us that the Midland Metro is essential to the development of Birmingham and the Black Country. 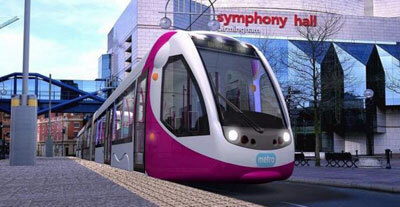 Luckily, Centro have a ready made case-study in the form of the well-established Birmingham to Wolverhampton line, and the success of this tram link – the prototype for a more extensive network – should give the transport authority real food for thought. So what do we find here? Excellent service? Value for money? An exemplary long-term investment? “A key problem with Metro patronage is there is no opportunity to recover lost journeys. And just how would this differ if the line was extended? These remarks speak of a system that could potentially send West Midlands business and industry into chaos if relied upon by considerable numbers. Indeed, Centro’s dream could very well end up as a nightmare for those who fund and rely upon its efficiency. A Midlands Metro would force cars and pedestrians out of the city and it would cost far more than the £430million price-tag, not just because of the inevitable overruns, but also due to the new highways infrastructure that would inevitably be needed to accommodate it. What’s more the call for this sort of transport is negligible, with the public being dictated to, rather than voicing a need. Most concerning of all is that the entire project is just far too expensive; the financial burden of increased taxation being proposed by Centro is really nothing short of an affront in the current economic climate, and even the suggestion that hard-pressed taxpayers’ should be further squeezed to fund their long-running hobby-horse to the tune of hundreds of millions of pounds, really does speak volumes about how just detached these transport authority big-wigs are from the people that pay their (substantial) salaries. Centro must forgo their ill-advised, insulting and damaging plans to raise funds through taxation, and consider the circumstances of the public they serve who, on the whole, really can’t afford to shell out for such schemes.